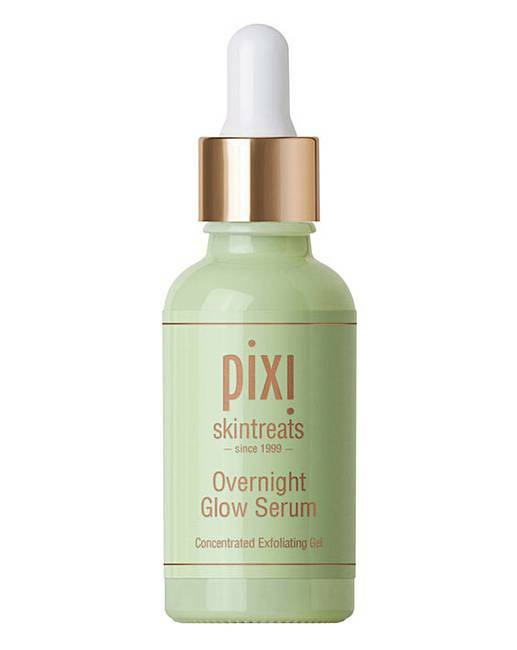 Pixi Skintreats Overnight Glow Serum contains a concentrated exfoliating gel that helps to reveal a more even and radiant skintone overnight. 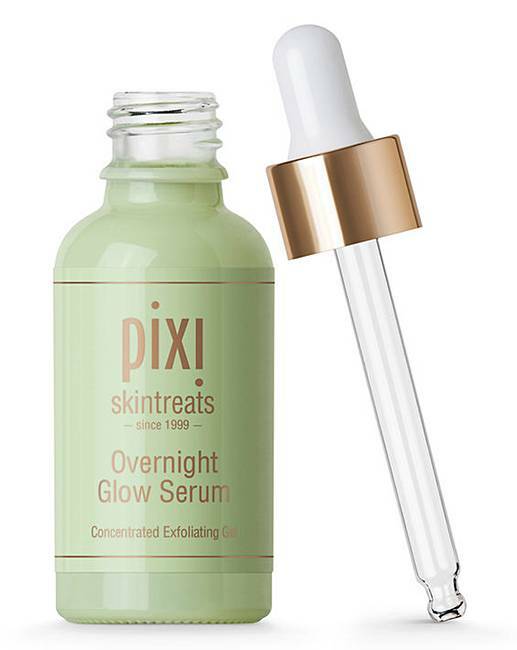 This miracle serum will exfoliate and soothe your skin leaving it noticably brighter. Including Glycolic Acid and Arginine, it reduces the appearance of fine lines and Aloe Vera and Cucumber extract calm skin while Vitamins A, C and E nourish. How to apply: Use in the evening beofre bed. Apply 2-3 drops and gently massage into the skin.